United won the Cup Winners Cup in 1991. CREDIT: GETTY IMAGES. When I was a youth team player at Manchester United we would play tournaments in Switzerland and Italy which were my first experience of representing the club overseas, and in turn I got to see how United was regarded across Europe and the world. One of my earliest memories is playing in the Blue Stars tournament in Switzerland and walking through the airport as part of a United touring party that included Sir Bobby Charlton and Sir Matt Busby. It struck me then, as a young player, how many people wanted to meet that pair, and how many would ask for autographs. Later, at the matches, there were other big clubs like Juventus and Barcelona in the competition but it seemed to be United who generated the greatest interest. I knew the story of the Busby Babes, of the Munich air disaster and then the European Cup final triumph in 1968 because I had grown up a United fan. But what I did not know until these first trips abroad was how the rest of the world saw the club, and how many people beyond my family and friends in Manchester and Salford felt so strongly about the traditions of United. 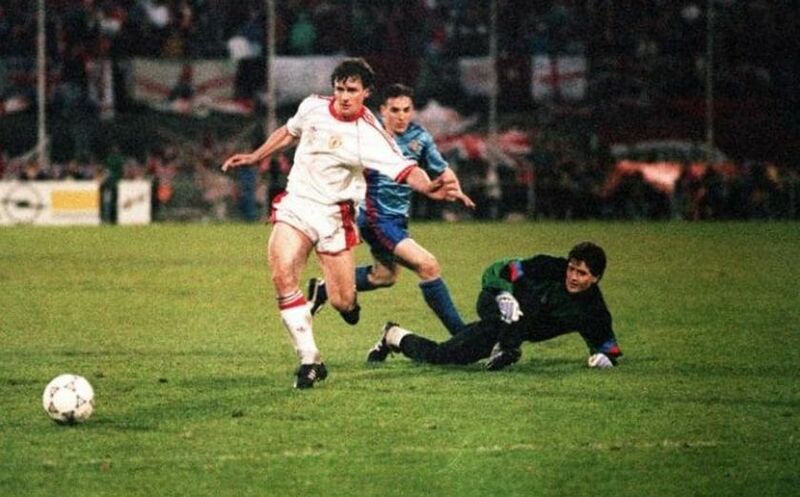 By the time United reached the first European final of my lifetime, the Cup-winner’s Cup final in Rotterdam in 1991, I had already made my first team debut. Had there been a few more injuries then I might have been in the squad but as it as I travelled over with the reserves and apprentices to watch the game. It was a cold, miserable day and we went out on a boat trip to pass the time until kick-off. The mood changed when I saw United’s all-white kit on the night. We just felt unbeatable. There were United fans all around the stadium - we discovered that because the club had brought along the old stadium announcer Keith Fane who got the fans going, and suddenly there was noise coming from every area of the ground. It was United against Barcelona but it felt to me that there were many more United fans in there and of course, the game itself went just as we had hoped. Mark Hughes scores his second goal of the game. CREDIT: PA.
Mark Hughes had an incredible game that night. Sparky was just unstoppable and the second goal was of the kind that only he could score. On Wednesday night there is another chance for United to make history and win the only European trophy that the club has never lifted. There is a reason for that of course, for most of the modern era, United have been in the Champions League but that should not discourage Jose Mourinho and the players. The club has always been about doing things first and setting new benchmarks and that is how I see this final against Ajax, and winning the Europa League. I could not tell you the first time that I learned the story of the Busby Babes and 1958, and the lives of those eight United players that were lost. It is something that has always been there since I was a child watching United, as it is with every fan of the club. The spirit of European football has always been so strong at United, and Sir Alex grasped that as soon as he arrived and having already won the European Cup-winners; Cup with Aberdeen he knew that Europe was where the club had to succeed. As an apprentice I would walk past Sir Matt’s office at Old Trafford on a Friday to collect my wages. He would be smoking his pipe and the door was always open. Sometimes he would call me in and we would chat about football, especially once I got into the first team squad. I was aware that I was in the presence of greatness but I was a teenager - I did not sit down and ask all the kind of questions that I would if I had my chance again. The spirit of the 1950s and the 1960s was all around us then. Nobby Stiles was a youth team coach in those days and he had been a United apprentice at the time of the crash in 1958. There was Brian Kidd, another player from the 1968 team. Wilf McGuinness was at the club and I had played alongside his son Paul. And of course there was Sir Bobby and Sir Matt. At United, the traditions of homegrown players and European football were tied closely together. It was for that reason that I came back into the Under-18s team to play the second leg of the 1992 FA Youth Cup final despite having already established myself as a first team regular. I had been in teams beaten in the semi-finals in the previous two seasons and it had been a crushing experience. We considered the FA Youth Cup so important because the Babes had won five in a row in the 1950s. Of course, I got a bit of stick for going straight back into the side. I was a striker in those days and so I took the place of another young hopeful who also began his career in that position. Sorry about that, Robbie Savage. My early steps in Champions League football were difficult, including the away goals defeat to Galatasaray in 1994; then losing to Gothenburg the following season. In those days the club was reacquainting itself with European football. Now it is the turn for another generation of young homegrown players at United to discover what success at European level feels like. For Marcus Rashford and Jesse Lingard Wednesday will be a night they never forget. 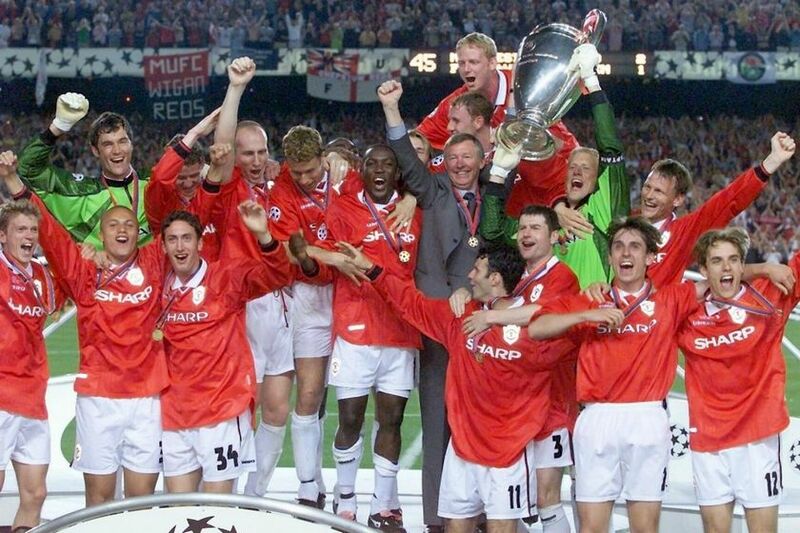 United's 1999 treble winners. CREDIT: EPA. Twenty-five years ago it would be Sir Alex who would tell the young players about the history of the club. I was always amazed how much he had absorbed given that he had grown up as a Rangers fan living in Scotland. 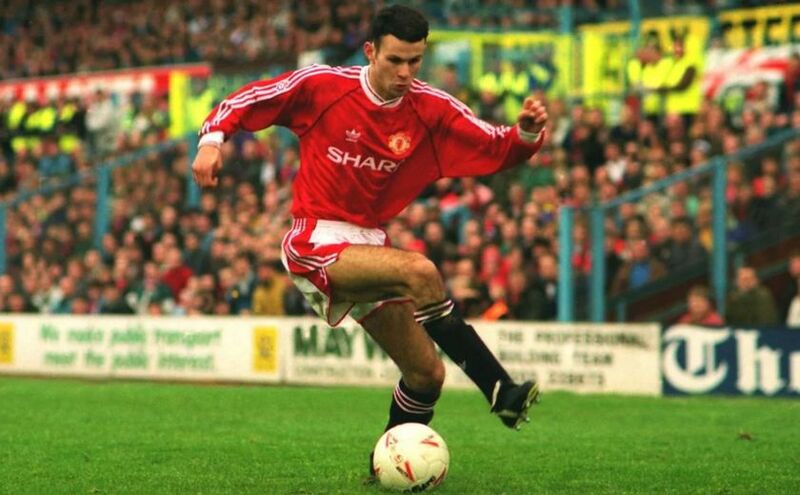 I am sure there are plenty of people who have told the current players what it means to represent United in Europe, especially if the club is where you grew up as a footballer. I know there is a lot of pressure to beat Ajax to qualify for the Champions League next season but the game should not hold any fears for United. They have a chance to do something no group of players at the club have ever done before, and breaking new ground is what United have always been about.